TLJ News: March 16-20, 2013. 3/20. Robert McDowell announced in a release that "I will step down as a commissioner of the Federal Communications Commission in a few weeks." McDowell (at left) has served for seven years. He added that "I have no plans other than to take my family on a much-needed vacation starting this weekend." Fellow Republican FCC Commissioner Ajit Pai wrote in a statement that McDowell "has championed innovation, promoted competition, and focused on boosting private investment in the communications industry. Rob was among the first to sound the alarm about international threats to Internet freedom, and his leadership has been critical to forging a broad, bipartisan consensus on this issue." Gordon Smith, head of the National Association of Broadcasters (NAB), praised McDowell in a release for his "ardent support for fair media ownership rules and full-throated support for a vibrant First Amendment". See also, praise from FCC Chairman Julius Genachowski, praise from Mignon Clyburn, and praise from Jessica Rosenworcel. For more praise of McDowell, see American Cable Association (ACA) statement, AT&T statement, Consumer Electronics Association (CEA) statement, CTIA statement, National Association of Regulatory Utility Commissioners (NARUC) statement, and US Telecom statement. Most of the companies and interest groups that have opposed McDowell's positions issued no statements regarding his departure. However, the Public Knowledge (PK) was gracious in praising its frequent foe. It wrote in a release that "Although we often disagreed, working with Commissioner McDowell was a pleasure. His willingness to hear opposing views, the intellectual rigor in his analysis, and his leadership at the WCIT made him someone we enjoyed working with. Commissioner McDowell deserves enormous credit for defending TV white spaces in its darkest hour and pushing back against House Republicans who saw no value in preserving unlicensed spectrum." On the other hand, Craig Aaron of the Free Press, a Washington DC based interest group that advocates for greater regulation of telecommunications, media and the press, was blunt in his criticism of McDowell. He wrote in a release that "We congratulate Commissioner McDowell on his decision to leave the FCC. As he considers his next move, we hope he will reject the revolving door and resist becoming another FCC leader who exploits his public service to cash in at the companies he was supposed to regulate." Aaron also urged President Obama "to nominate a Republican successor who is not simply another cheerleader for the biggest businesses and media monopolists, but who recognizes the free market cannot work if companies are allowed to amass and abuse market power." However, as a practical matter, President Obama will nominate someone whose name has been forwarded to him by Congressional Republicans via Sen. Mitch McConnell (R-KY), the Senate Minority Leader. Berin Szoka of the Tech Freedom stated in a release that "Given Minority Leader McConnell's remarkable recent track record recommending FCC Commissioner Ajit Pai and FTC Commissioners Maureen Ohlhausen and Josh Wright -- all champions of Internet freedom -- we're confident that McDowell's successor will be both amply qualified and deeply principled." 3/20. The U.S. Patent and Trademark Office (USPTO) published a notice in the Federal Register (FR) that announces, describes, recites, and sets the effective date for, its revisions to its fee setting rule published in the FR on January 18, 2013. The USPTO wrote these rules to implement Section 10 of HR 1249 [LOC | WW] (112th Congress), the "Leahy-Smith America Invents Act". See also, story titled "USPTO Releases Patent Fees NPRM" in TLJ Daily E-Mail Alert No. 2,441, September 5, 2012. The effective date of these changes is March 20, 2013. The deadline to submit comments is May 20, 2013. See, original notice in the FR, Vol. 78, No. 13, January 18, 2013, at Pages 4211-4291, and correction notice in the FR, Vol. 78, No. 54, March 20, 2013, at Pages 17102-17108. 3/20. Demetrios Marantis, the acting U.S. Trade Representative, sent a letter to Congressional leaders that formally notifies the Congress that "the President intends to enter into negotiations with the European Union (EU) on the Transatlantic Trade and Investment Partnership (TTIP)". Officials in the US and EU announced these TTIP negotiations in February. See also, stories titled "EU and US Announce Beginning of Transatlantic Trade and Investment Partnership Negotiations" and "Obama Mentions Trans Pacific Partnership Trade Agreement" in TLJ Daily E-Mail Alert No. 2,523, February 13, 2013. This letter states that "Our specific objectives for the negotiation of the TTIP include" seeking "to develop appropriate provisions to facilitate the use of electronic commerce to support goods and services trade, including through commitments not to impose customs duties on digital products or unjustifiably discriminate among products delivered electronically". The objectives also include seeking "to include provisions that facilitate the movement of cross-border data flows". Marantis (at right) become the acting USTR upon the departure of Ron Kirk. 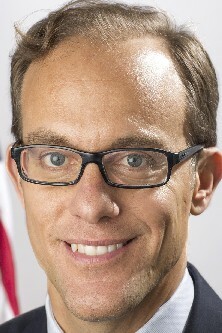 His letter also states that the objective of these TTIP negotiations include seeking "to obtain, consistent with U.S. priorities and objectives, appropriate commitments that reflect the shared U.S-EU objective of high-level IPR protection and enforcement, and to sustain and enhance joint leadership on IPR issues". The objectives also include seeking "new opportunities to advance and defend the interests of U.S. creators, innovators, businesses, farmers, and workers with respect to strong protection and effective enforcement of intellectual property rights, including their ability to compete in foreign markets". The objectives also include seeking "to address matters of mutual interest regarding competition policy and process and to further improve cooperation on competition policy". This six page letter also lists numerous objectives that are not related to information or communications technology. 3/20. The U.S. District Court (SDNY) granted summary judgment of infringement to the Associated Press in AP v. Meltwater. The District Court has not yet released its decision. The AP filed its complaint on February 14, 2012 alleging copyright infringement (17 U.S.C. § 106) and hot news misappropriation by Meltwater, which asserted fair use (17 U.S.C. § 107). Gary Pruitt, P/CEP of AP stated in a release that "This ruling makes it crystal clear that Meltwater wrongly used news content from AP to create its own content, while paying none of the costs associated with creating original news content ... This is an important ruling for AP and others in the news business who work so hard to provide high-quality original news reports on which the public relies." The AP hires at great expense an army of reporters who engage in the labor intensive and time consuming process of collecting, researching, writing, and editing news stories. It licenses its works for fees. Meltwater does not license from AP. Rather it copies excerpts from AP's works, and sells its product to its own subscribers. The key issue was whether Meltwater's free riding is protected fair use. The District Court held that it was not. On January 17, 2013, the Public Knowledge (PK) and Electronic Frontier Foundation (EFF) filed an amicus curiae brief [16 pages in PDF] in support of Meltwater. See story titled "PK & EFF Argue Fair Use in AP v. Meltwater" in TLJ Daily E-Mail Alert No. 2,514, January 22, 2013. On February 25, 2013, the New York Times, Gannett, McClatchy, and others filed an amicus curiae brief [27 pages in PDF] in support of the AP. 3/20. Teresa Rea, acting head of the U.S. Patent and Trademark Office (USPTO) wrote a short piece titled "Examiner Training Continues on First Inventor to File". 3/19. The Supreme Court issued its opinion [74 pages in PDF] in Kirtsaeng v. John Wiley & Sons, holding that the first sale doctrine of the Copyright Act applies to goods that are made abroad, legally acquired abroad, and imported into the US for resale. This is a serious setback for large book, movie, record and software companies, and a victory for eBay and other e-commerce companies. Majority Opinion of Justice Breyer. Dissenting Opinion of Justice Ginsburg. Introduction and Summary. The Copyright Act provides that a copyright holder has the exclusive right to sell copies. The Act also codifies the first sale doctrine, which provides that anyone who has lawfully obtained a copy of the copyright work is free to resell that copy. The Act also includes language that gives rise to the argument that the Act's first sale doctrine does not apply to works made abroad and imported into the US. However, the Act lacks clarity on this point. Book publishers, such as John Wiley & Sons, as well as movie, record, and software companies have long relied upon this language to enforce their business strategies of setting different prices, using different distributors, and releasing works at different times, in different countries. See, amicus curiae brief of the Motion Picture Association of America (MPAA) and Recording Industry Association of America (RIAA), brief of the Business Software Alliance (BSA), and brief of the Software and Information Industry Association (SIIA). See also, story titled "Amicus Briefs Filed in First Sale Doctrine Case" in TLJ Daily E-Mail Alert No. 2,449, September 17, 2012. The widespread availability of internet access, and the development of online secondary markets, such as eBay, now make businesses that engage in online arbitrage a greater threat to the business models of rights holder companies. In the present case a book publisher, Wiley, sued an arbitrageur, Kirstaeng, who bought Wiley textbooks made outside the US, importing them into the US, and resold them via online markets such as eBay. Wiley prevailed in the U.S. District Court (SDNY) and the U.S. Court of Appeals (2ndCir). Moreover, the Office of the U.S. Trade Representative (OUSTR) has taken the position of the rights holder companies in trade negotiations with other countries. Yet, the Supreme Court reversed the Court of Appeals. This decision is a defeat for large publishers of books, movie companies, record companies, and software companies. The main loss to them will be in undermining their ability to charge different prices in different national markets. This decision is a victory for resellers of copyrighted works such as Kirstaeng. It is also a victory for the web site operators such as eBay that provide the platform for such transactions. See, joint brief of eBay, Computer and Communications Industry Association (CCIA), NetCoalition, TechAmerica, and others. Acquirers of foreign made works also sided with Kirtsaeng, including library groups, some book stores, and some other retailers. See, brief of library groups. Numerous opponents of Wiley went to great lengths to recite hypothetical scenarios in which the holding of the Court of Appeals might result in absurd harm to innocents. While this "parade of horribles" (as Justice Ginsburg called them in dissent) has existed solely in the imagination and legal briefs of Wiley's opponents, Justice Breyer labeled them as "serious". At bottom, however, this case has been a conflict between two sets of industry groups -- one set that relies upon US copyright and markets their products globally, and a second set comprised of e-commerce companies and resellers and redistributors of these products. The Association of American Publishers (AAP), of which Wiley is a member, stated in its reaction that this decision "will discourage the active export of US copyrighted works. It will also reduce the ability of educators and students in foreign countries to have access to US-produced educational materials, widely considered the world's gold standard." See also, brief of the AAP. Wiley's P/CEO Stephen Smith stated in a release that it is "disappointed", and that this "is a loss for the U.S. economy, and students and authors in the U.S. and around the world." 3/19. The House Judiciary Committee's (HJC) Subcommittee on Courts, Intellectual Property and the Internet will hold a hearing titled "The Register's Call for Updates to U.S. Copyright Law" on Wednesday, March 20. It released the prepared testimony of the sole witness, Maria Pallante, the Register of Copyrights. This testimony states that "Congress should approach the issues comprehensively over the next few years as part of a more general revision of the statute". This testimony elaborates that the issues that the Congress should address include "clarifying the scope of exclusive rights, revising exceptions and limitations for libraries and archives, addressing orphan works, accommodating persons who have print disabilities, providing guidance to educational institutions, exempting incidental copies in appropriate instances, updating enforcement provisions, providing guidance on statutory damages, reviewing the efficacy of the DMCA, assisting with small copyright claims, reforming the music marketplace, updating the framework for cable and satellite transmissions, encouraging new licensing regimes, and improving the systems of copyright registration and recordation". 3/19. Sen. Patrick Leahy (D-VT) and Sen. Mike Lee (R-UT) introduced S 607 [LOC | WW | PDF], the "Electronic Communications Privacy Act Amendments Act of 2013" a bill to require that the government obtain a court warrant to access the content of e-mail held by a service provider. Sen. Leahy (at right) said that "the bill requires that the government obtain a search warrant based on probable cause to obtain the content of Americans' email and other electronic communications, when those communications are requested from a third-party service provider." See, Congressional Record, March 19, 2013, at Page S1951. He added that "the bill requires that the government promptly notify any individual whose email content has been accessed via a third-party service provider, and provide that individual with a copy of the search warrant and other details about the information obtained. The bill permits the government to seek a court order temporarily delaying such notice in order to protect the integrity of ongoing government investigations. In addition, the bill permits the government to ask a court to temporarily preclude a service provider from notifying a customer about the disclosure." This is a revised version of language adopted by the SJC late in the 112th Congress. The SJC approved a version of HR 2471 [LOC | WW | TLJ], a bill to revise the Video Privacy Protection Act to facilitate practices of social media web sites, with a section that required a warrant for accessing cloud stored e-mail. See, story titled "Senate Judiciary Committee Approves Leahy Bill to Require Warrant for Accessing Cloud Stored E-Mail" in TLJ Daily E-Mail Alert No. 2,479, November 30, 2012. However, the Congress later enacted a version of the bill without the e-mail section. This bill was referred to the Senate Judiciary Committee (SJC). 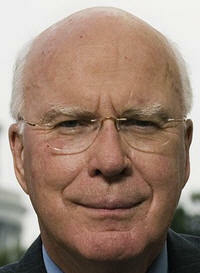 Sen. Leahy is the Chairman. Sen. Lee is a member. Greg Nojeim of the Center for Democracy and Technology (CDT) stated in a release that "This common sense reform, which has strong support across the political spectrum, would help extend Fourth Amendment rights in the Internet age." However, the law enforcement agencies that would be required to obtain court approval to access stored e-mail do not Nojeim's enthusiasm for extending 4th Amendment rights. Moreover, many Senators and Representatives often follow the recommendations of these law enforcement officials. For these reasons, this bill is likely to face significant opposition in the Congress. 3/19. Sen. Charles Grassley (R-IA) sent a letter to Michael Horowitz, the Inspector General of the Department of Justice (DOJ), requesting copies of documents of the DOJ's Office of the Inspector General (OIG) regarding Valerie Caproni's involvement in Federal Bureau of Investigation's (FBI) violation of federal laws governing the use of National Security Letters (NSLs) and other surveillance laws. Sen. Grassley noted that he first requested DOJ OIG documents related to Caproni on January 17, 2013, but that the DOJ OIG has so far refused. In particular, Sen. Grassley seeks the OIG's transcripts of its interviews of Caproni and her assistant, Julie Thomas. The DOJ OIG released a series of reports in 2007, 2008 and 2010 that found that the FBI engaged in widespread illegal surveillance activities. Caproni was General Counsel of the FBI from 2003 through 2011. She presided over the FBI's Office of General Counsel (OGC) while the FBI engaged in the illegal surveillance activities that the DOJ OIG disclosed in its three reports. However, these reports did not disclose the extent of Caproni's involvement. Caproni's involvement is now pertinent, because on November 14, 2012, President Obama nominated her to be a Judge of the U.S. District Court for the Southern District of New York. See, story titled "Obama Nominates Caproni for District Court" in TLJ Daily E-Mail Alert No. 2,474, November 19, 2012. Obama re-nominated Caproni (at left) in the 113th Congress on January 3, 2013. See, story titled "Obama Re-Nominates 33 for Federal Courts" in TLJ Daily E-Mail Alert No. 2,503, January 3, 2013. The Senate Judiciary Committee (SJC), of which Sen. Grassley is the ranking Republican, reviews all federal judicial nominees. Sen. Grassley's letter to Horowitz (at right) states that the refusal to produce documents is "unjustified", and raises questions about the OIG's supposed independence from the DOJ. Sen. Grassley commented on the OIG's assertion that the documents are "internal DOJ communications". He wrote that "Communications between the agency's counsel and the OIG are emphatically not ``internal.´´"
3/19. The Securities and Exchange Commission (SEC) instituted an administrative proceeding against Craig Berkman, John B. Kern and various entities that alleges violation of federal securities laws in connection with a fraudulent investment scheme in which Berkman misrepresented to investors that he would acquire pre-IPO shares of Facebook, LinkedIn and other technology companies. The SEC stated in a release that Berkman "touted to investors that he had special access to scarce sources of pre-IPO stock in Facebook, LinkedIn, Groupon, and Zynga. Instead of purchasing shares on investors’ behalf as promised, Berkman misused their investments to make Ponzi-like payments to earlier investors, fund personal expenses, and pay off claims against him in a bankruptcy case." Simultaneously, the Office of the U.S. Attorney (OUSA) for the Southern District of New York announced that the arrest of Berkman on March 19, and the filing a sealed criminal complaint [20 pages in PDF] against Berkman in the U.S. District Court (SDNY) on March 15, which was unsealed on March 19. See also, OUSA release. The SEC's order [15 pages in PDF] instituting the administrative proceeding states that Berkman "raised at least $13.2 million from approximately 120 investors by selling membership interests in limited liability companies ... that Berkman controlled". The order continues that "Berkman told investors" in several ventures "that their funds would be used to acquire highly coveted, pre-initial public offering ... shares of Facebook, Inc., LinkedIn, Inc., Groupon, Inc., and Zynga Inc. In another offering, Berkman told investors in Face Off Acquisitions that their money would be used either to purchase pre-IPO shares of Facebook or to acquire a company that held pre-IPO Facebook shares. In a third offering, Berkman told investors in Assensus Capital that he would use their money to fund various new, large-scale, technology ventures." However, "Instead of using the investor funds to acquire pre-IPO shares or fund technology ventures, Berkman misappropriated most of the offering proceeds." The order adds that Kern is a lawyer for the LLCs and Face Off Acquisitions who "made certain material misstatements to investors that he knew or recklessly disregarded were false and misleading". The DOJ complaint charges criminal securities fraud in violation of Section 10b of the Securities Exchange Act in violation of 15 U.S.C. §§ 78j(b) and 78ff, and Rule 10b5 thereunder, and wire fraud in violation of 18 U.S.C. §§ 1342 and 1343. The criminal case is U.S. v. Craig L. Berkman, U.S. District Court for the Southern District of New York, D.C. No. 13 MAG 0732. The Commission vote was 3-0-1. Commissioner Joshua Wright, who was not a member of the FTC when it issued its complaint, did not participate. There is now one vacancy one the five member Commission, following the departure of Jonathan Leibowitz. The FTC filed and simultaneously settled its administrative complaint on December 5, 2012. See, story titled "FTC Brings Action Against Behavioral Advertising Company for History Sniffing" in TLJ Daily E-Mail Alert No. 2,489, December 12, 2012. The FTC then solicited public comments. 3/19. The Government Accountability Office (GAO) released a prepared testimony [15 pages in PDF] titled "Information Technology: DHS Needs to Enhance Management of Major Investments". 3/19. Rep. Howard Coble (R-NC) and Rep. Judy Chu (D-CA) announced the formation of a Congressional Creative Rights Caucus. The 36 members include Rep. John Conyers (D-MI), Rep. Mel Watt (D-NC), and Rep. Henry Waxman (D-CA). It is a largely Democratic group. However, the members also include Rep. Louie Gohmert (R-TX) and Rep. Marsha Blackburn (R-TN). See, release. See also, ACT release. 3/18. President Obama gave a speech in which he announced that he will nominate Tom Perez to be Secretary of Labor. Perez is currently Assistant Attorney General (AAG) in charge of the Department of Justice's (DOJ) Civil Rights Division (CRD). Perez and the CRD Deputy Assistant Attorney Generals have asserted by administrative fiat authority under the Americans with Disabilities Act (ADA) to regulate web sites, a wide range new information technologies, and IT devices. 3/18. Rebecca Blank, who has been the acting Secretary of Commerce since June 11, 2012, left the Department of Commerce (DOC) to become Chancellor of the University of Wisconsin at Madison (UWM). Former Secretary John Bryson left the DOC after he was a party to two car wrecks on June 9, 2012. President Obama has yet to nominate a new Secretary of Commerce. See, UWM release and White House news office release. 3/18. The Senate Republican High-Tech Task Force (SRHTTF) again selected Sen. Orrin Hatch (R-UT) to be its Chairman. See, SRHTTF release. Go to News from March 11-15, 2013.